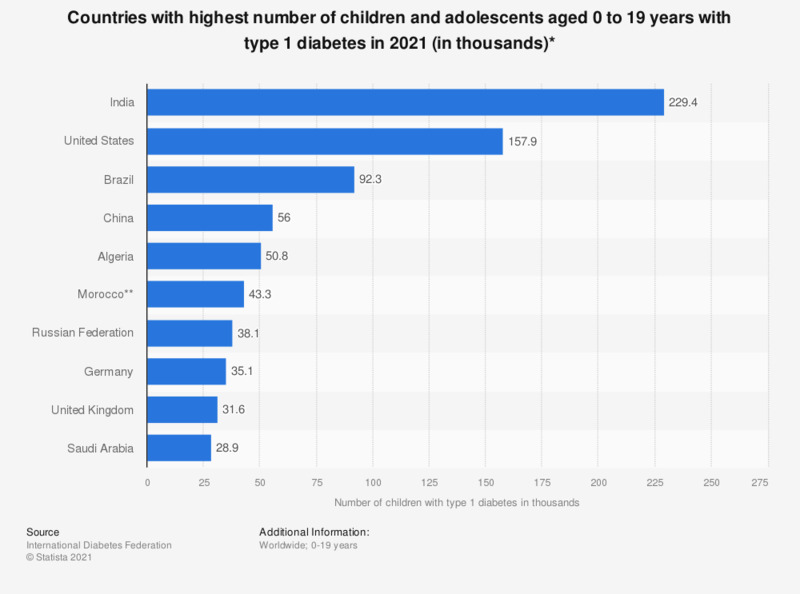 This statistic shows the top 10 countries for number of children and adolescents with type 1 diabetes in 2017. In that year, the U.S. topped the list with around the 170 thousand children and adolescents, followed by India with over 128 thousand. ** The data for Morocco is extrapolated from Algeria.